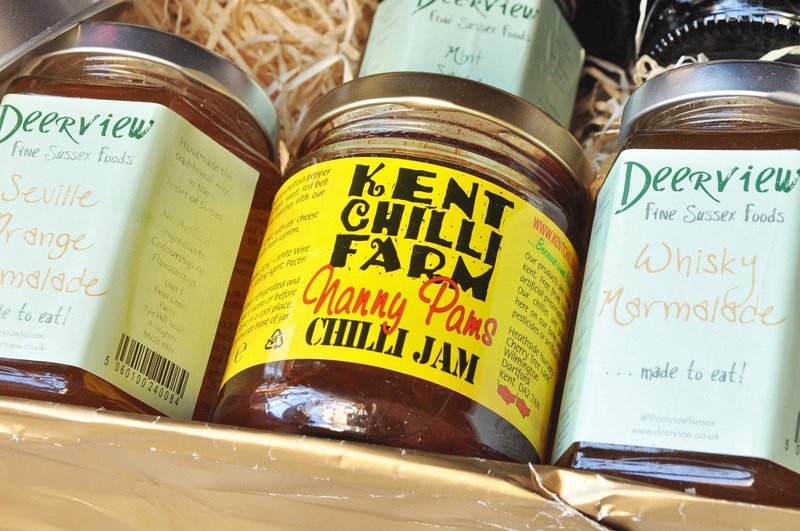 I posted about the Christmas cake from The Carrot Cake Company earlier today (although technically that was the review for Christmas Day), and now I’m switching over to a savoury product: chilli jam from the Kent Chilli Farm. I am not a fan of the “burning tongue sensation” that some people seem to crave, so I was a little nervous about trying the jam. After all, the company’s tagline is “because some like it hot!” However, it has a very pleasant blend of sweetness and heat, and I love the shocking bright red colour. 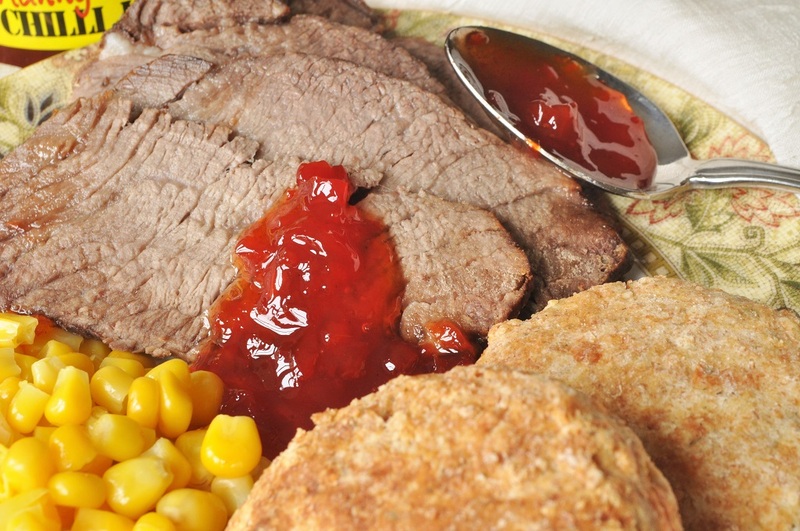 Red foods are such fun to eat, aren’t they? 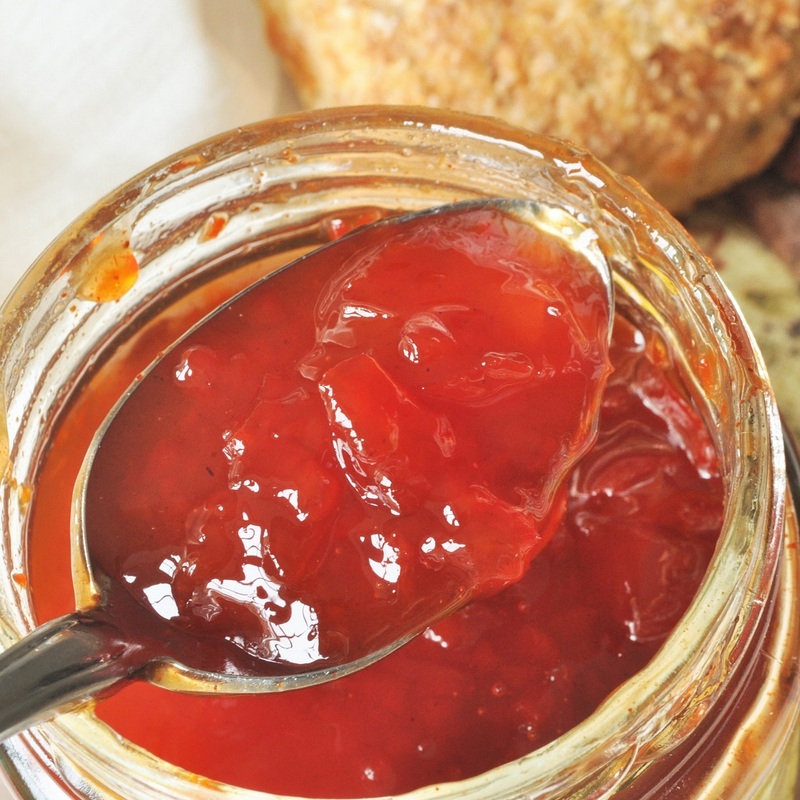 I ate the jam with slices of roast beef, remainders of yesterday’s feast, and if you are looking for something to brighten up your Boxing Day leftovers, a spoonful of this vivid jam may be just what you need. Or if, during the next few chilly months of winter, you are longing for something to remind you of summer, I highly recommend it. 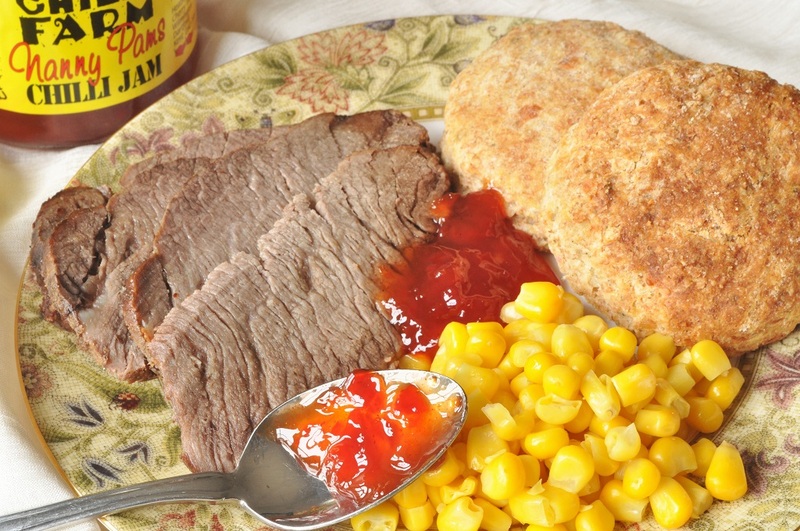 For me, the sweet chilli flavour immediately roused up memories of barbecues, smoked brisket, and corn on the cob. I also think it would be wonderful spread on toasts with some soft goat’s cheese–a nice little hors d’oeuvre for New Year’s Eve, perhaps? You can read a feature about the company over on Rosemary and Pork Belly’s blog, who organized the competition that won me the hamper which inspired this series of reviews. 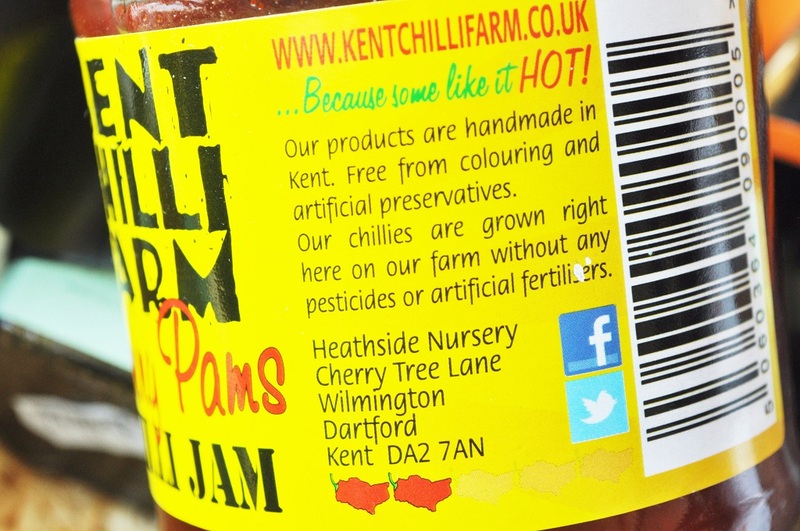 And if you have an interest in chillis, the farm’s website has lots of good information as well. I found the explanation of how they control insects without pesticide use particularly intriguing. I am always in favour of supporting those producers who are taking a stand against the overuse of pesticides and other unnatural products in our food chain!